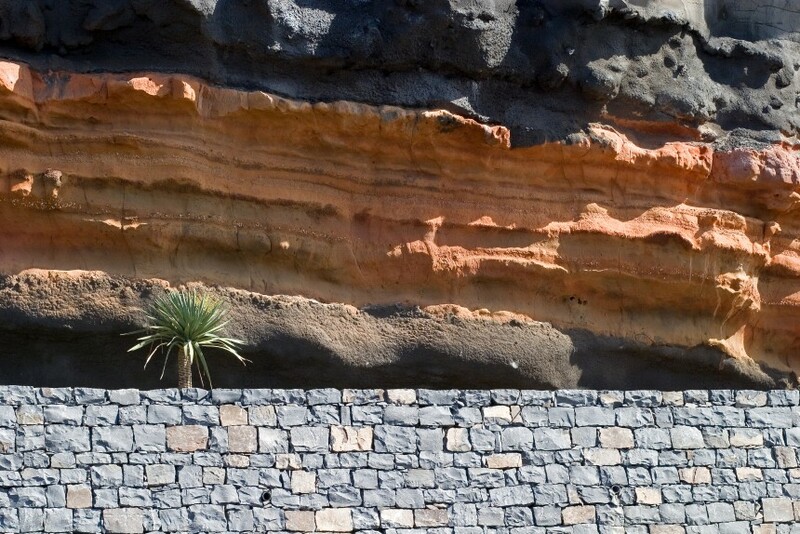 The designed landscape resulted from the understanding of landscape as a cultural process, rather than a mere physical occurrence. 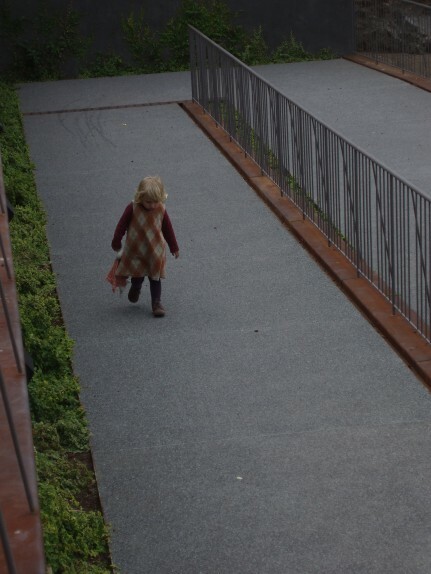 Therefore specifi c landscape construction strategies, as well as constructive processes, were critically reused to inform the change of use. 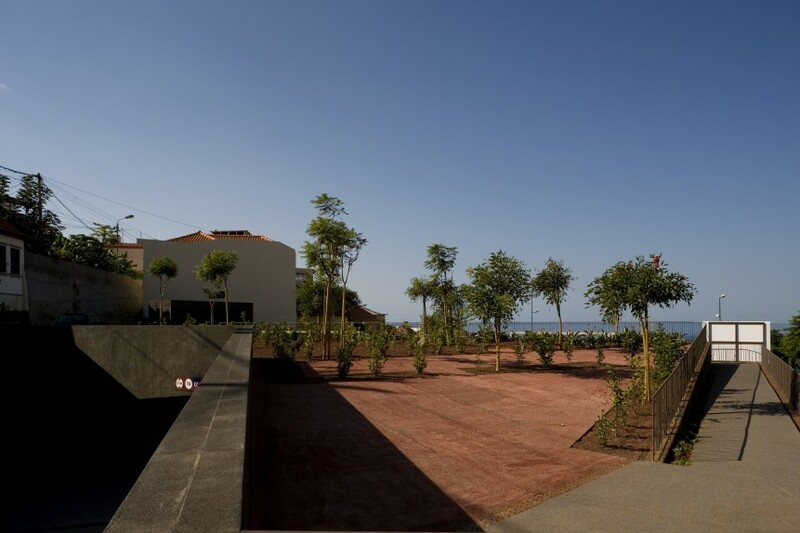 The drawing process did not search for mimesis, but it aimed for coherence in the way of constructing and dwelling the landscape. 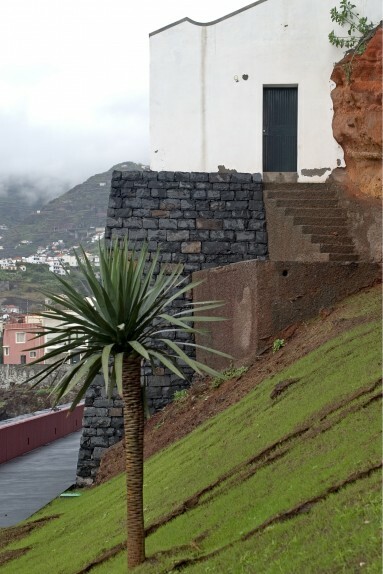 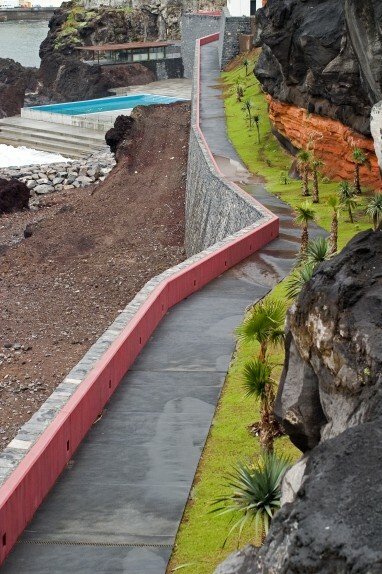 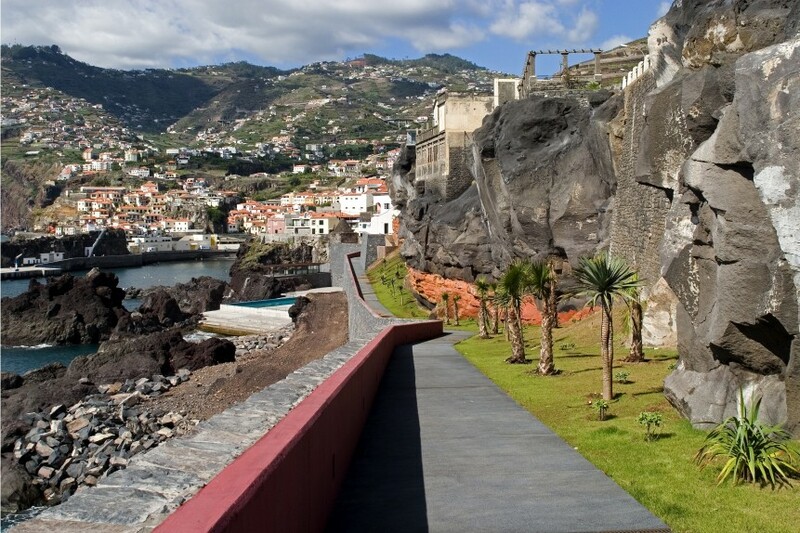 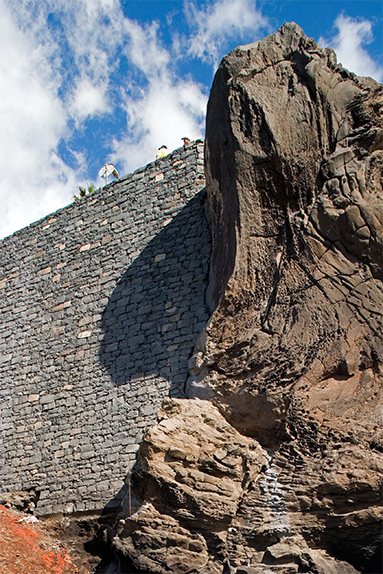 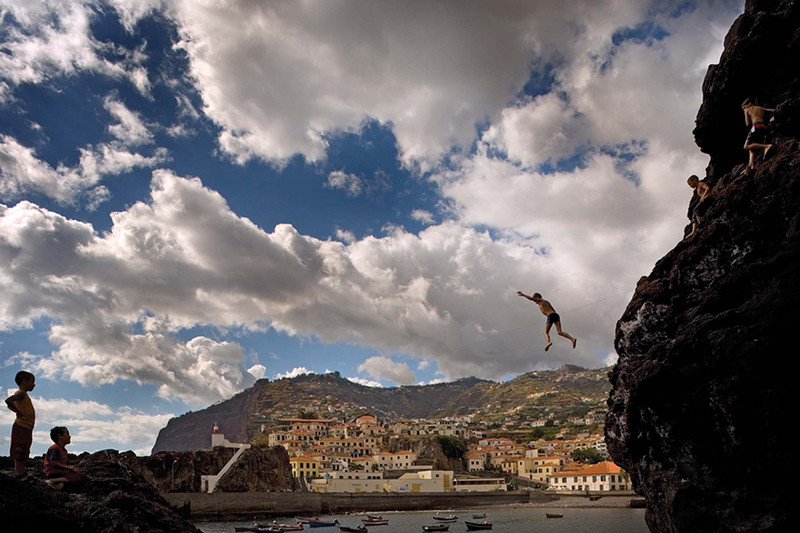 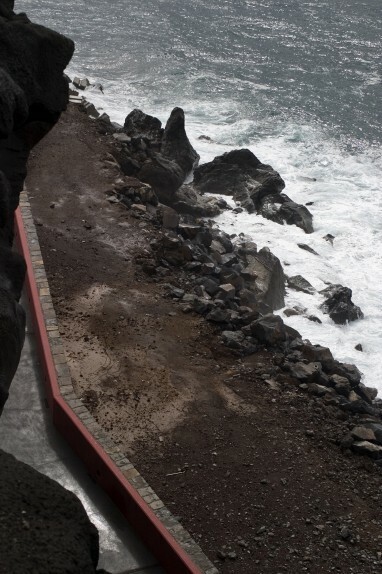 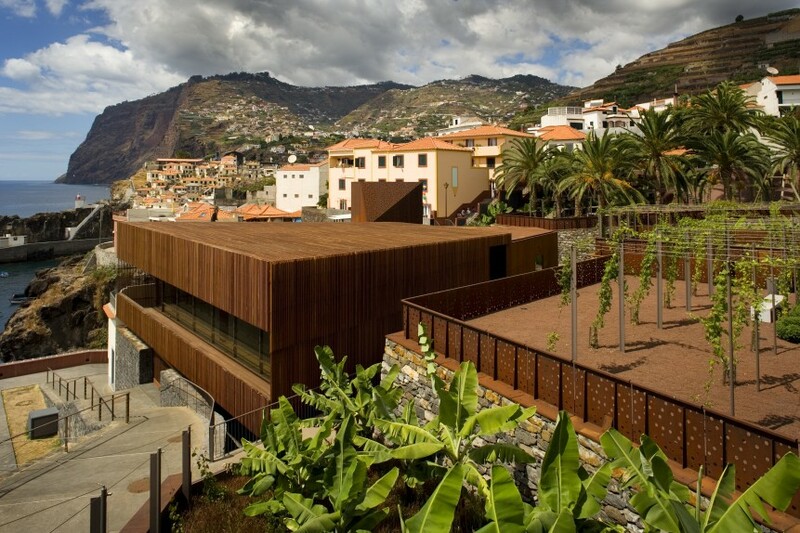 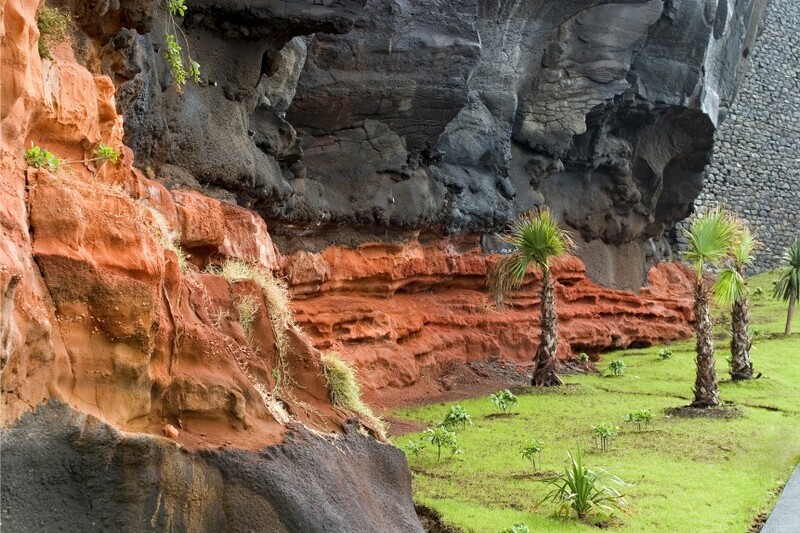 The site transformation incorporates traditional techniques and production systems to construct the landscape, in order to adapt it to the site-specifi c geomorphic conditions of Madeira’s landscape. 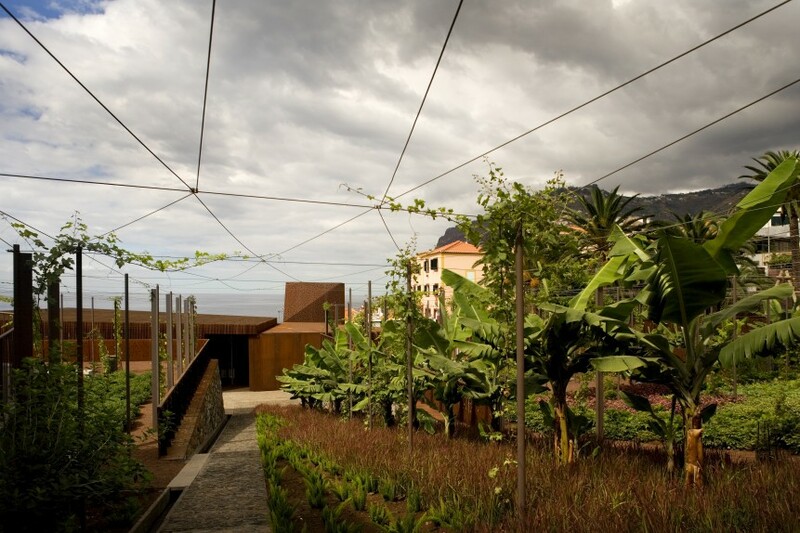 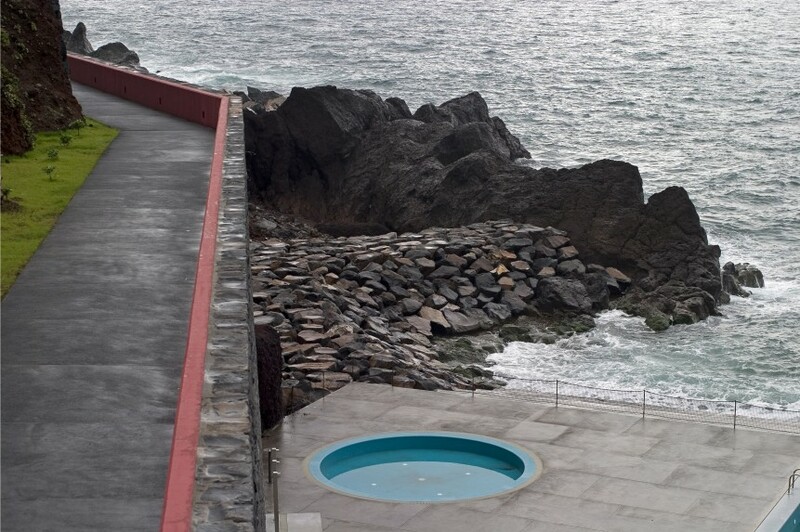 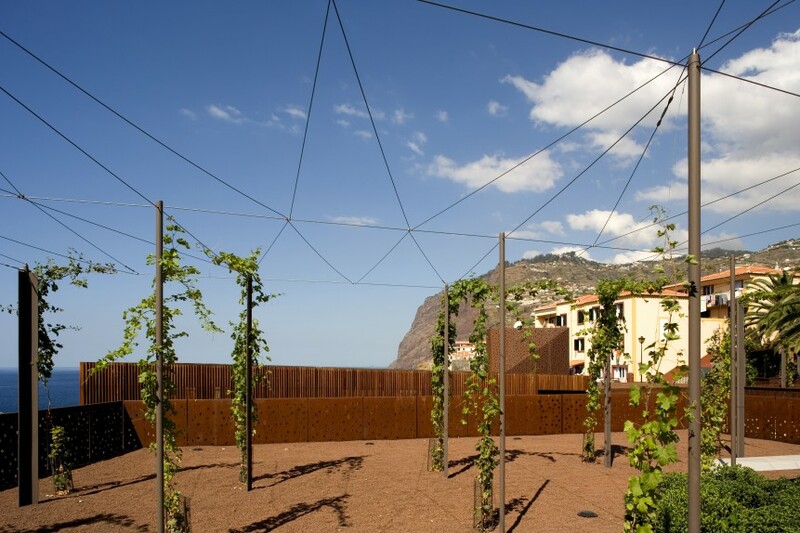 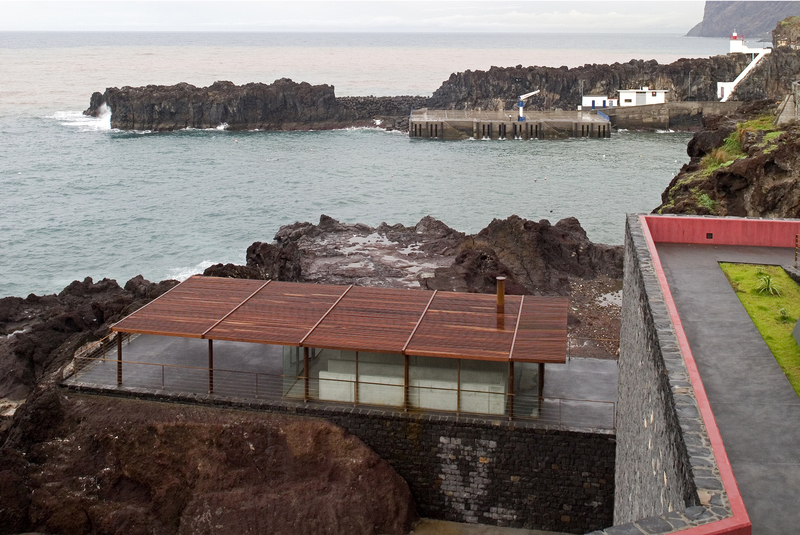 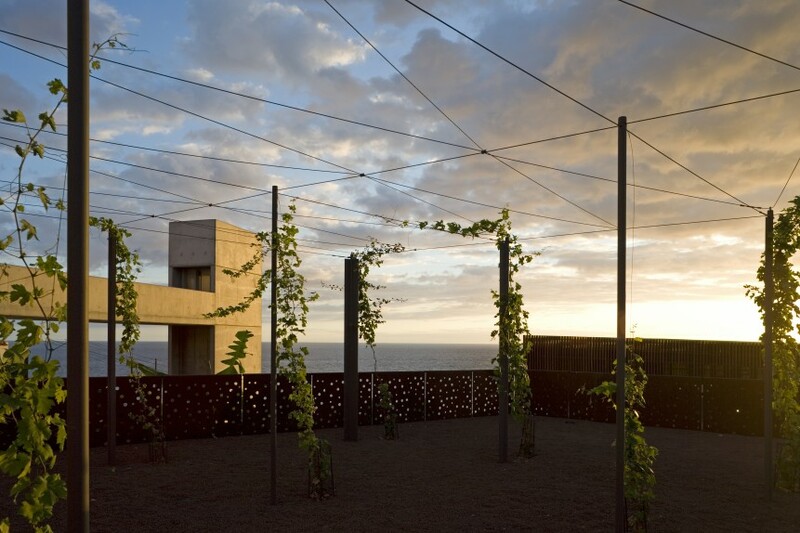 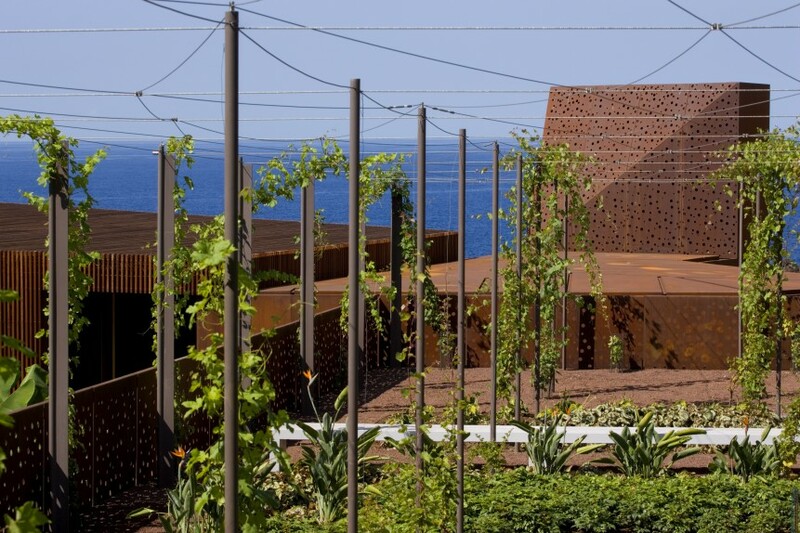 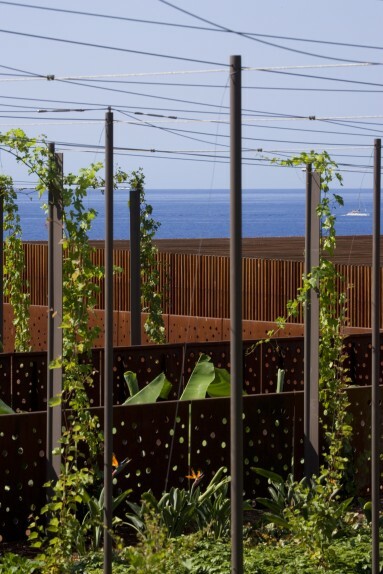 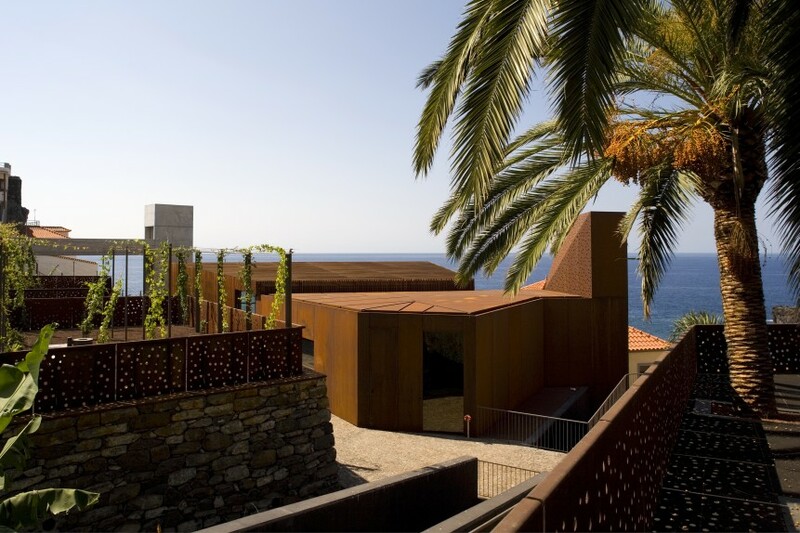 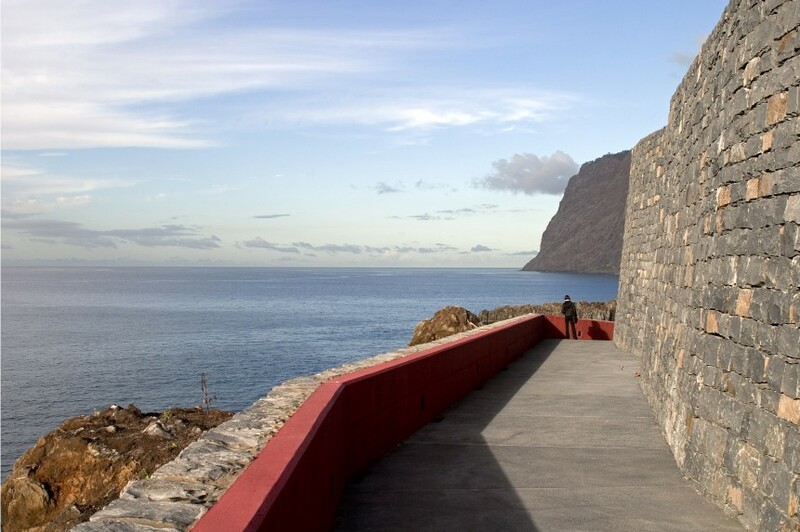 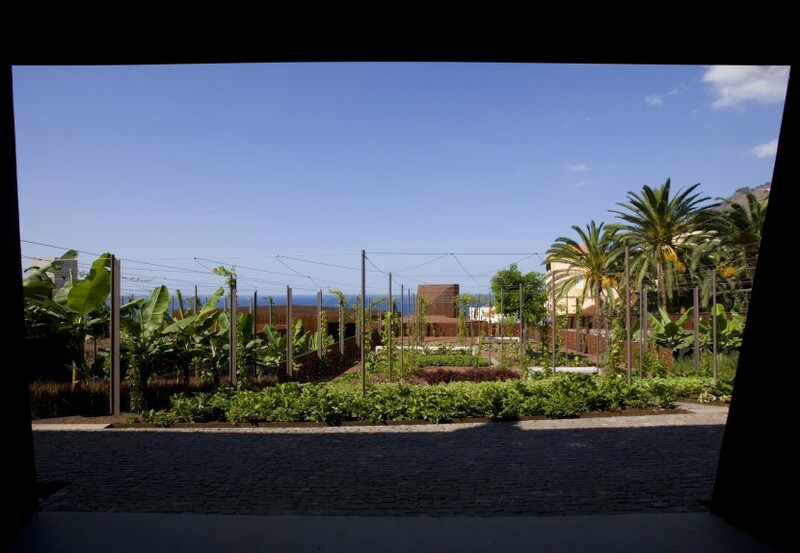 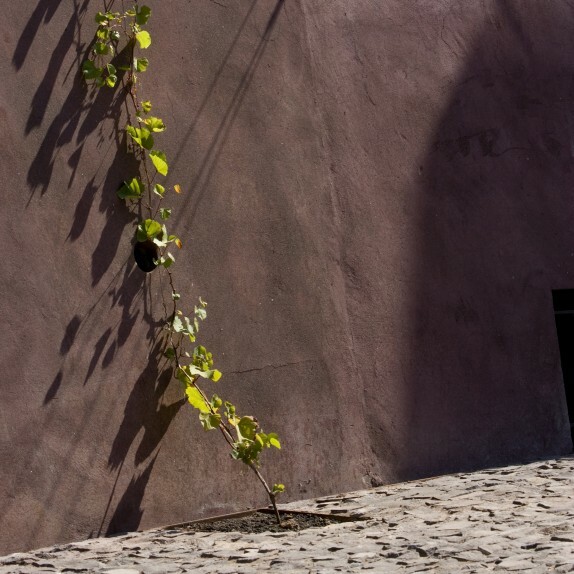 ‘Poios’, walls, up-levelled canals, vineyard trellis, meadows, banana groves, were introduced through contemporary design thinking and drawing processes, representing a new interpretation for the use of the place.